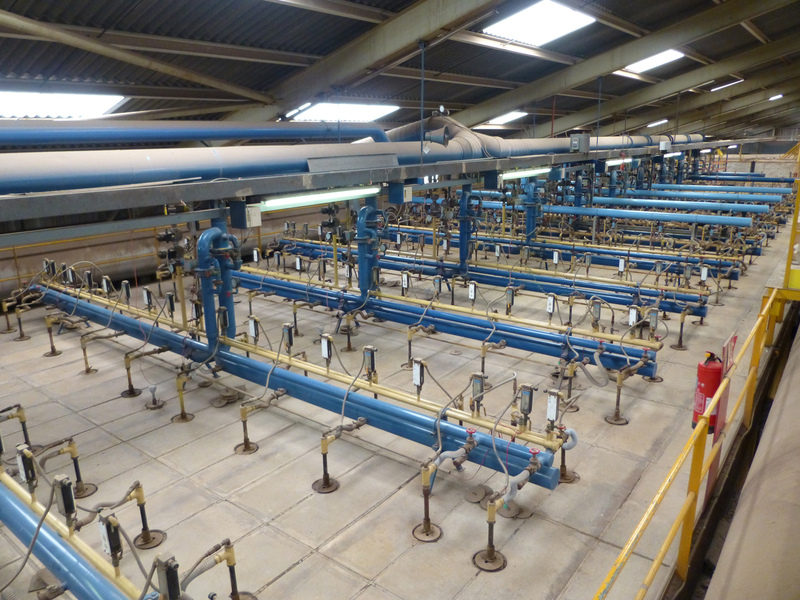 The existing Hanson Kirton Tunnel Kiln system had become obselete, unreliable and labour intensive. 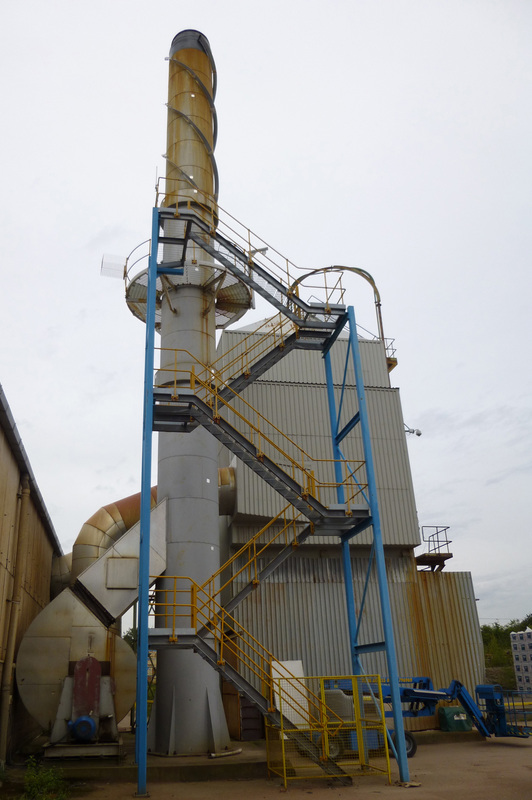 Control and Safety Eng were asked by Hanson to design a fully upgraded and automated system. 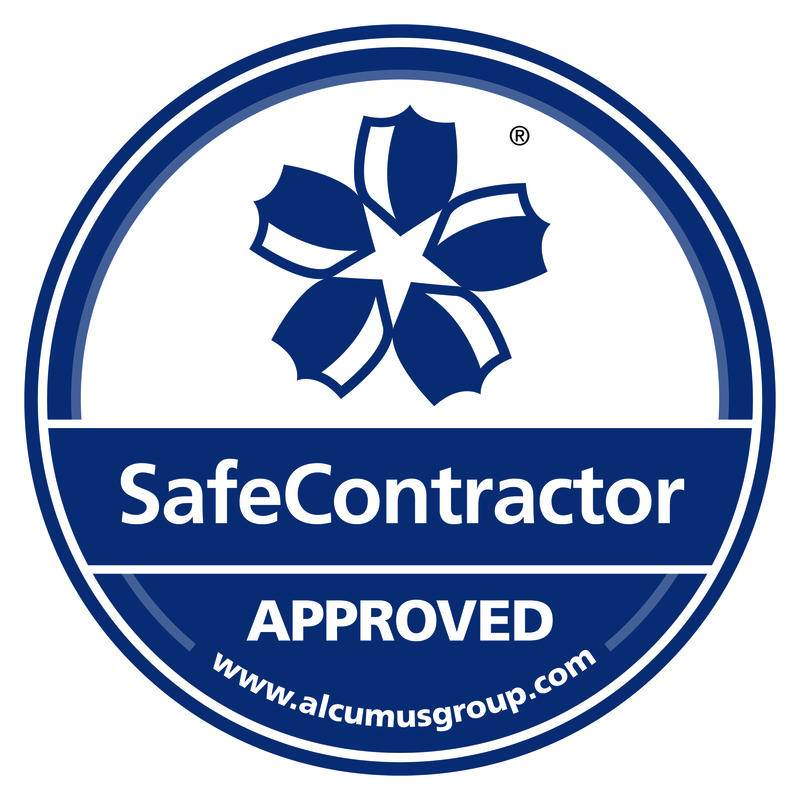 The system was implemented with Siemans S7 PLC and WinCC SCADA. A Siemans S7 rack replaced existing, individual temperature controllers. All fans such as those within the main chimney stack were manually started on a hard-wired system. 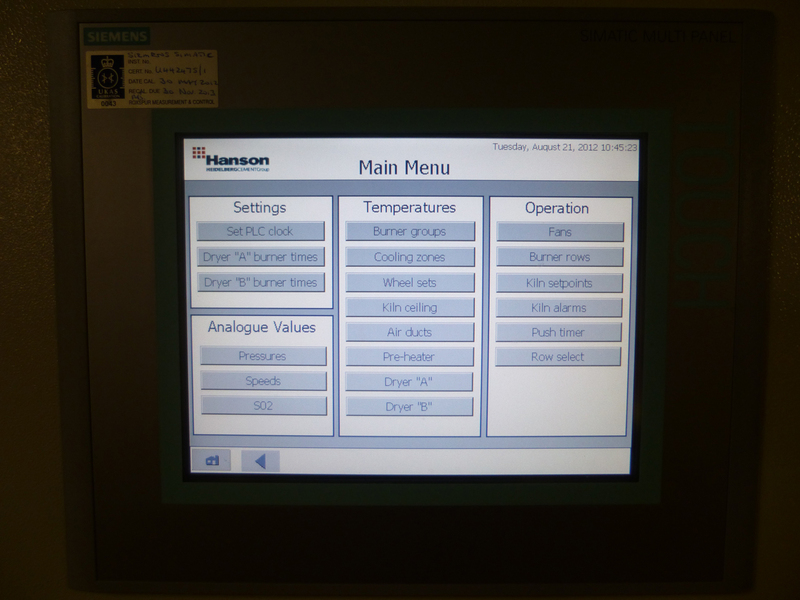 A new industrial PC was implemented with WinCC SCADA. 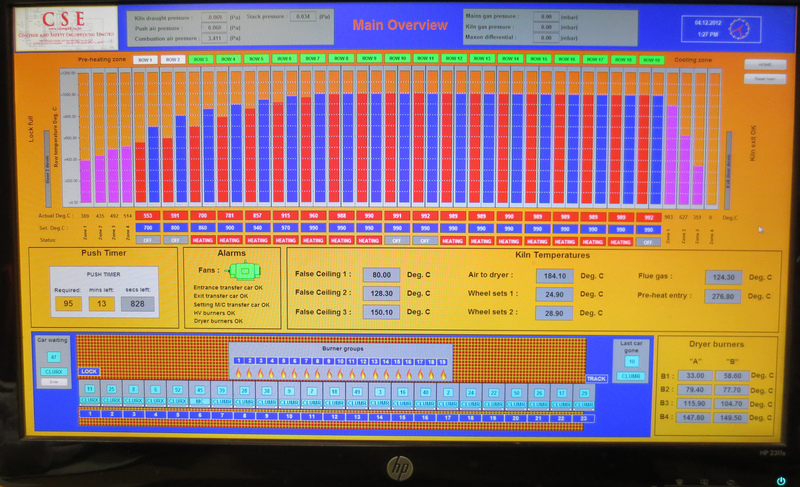 The screen above shows computer control of all fans and their speed settings. 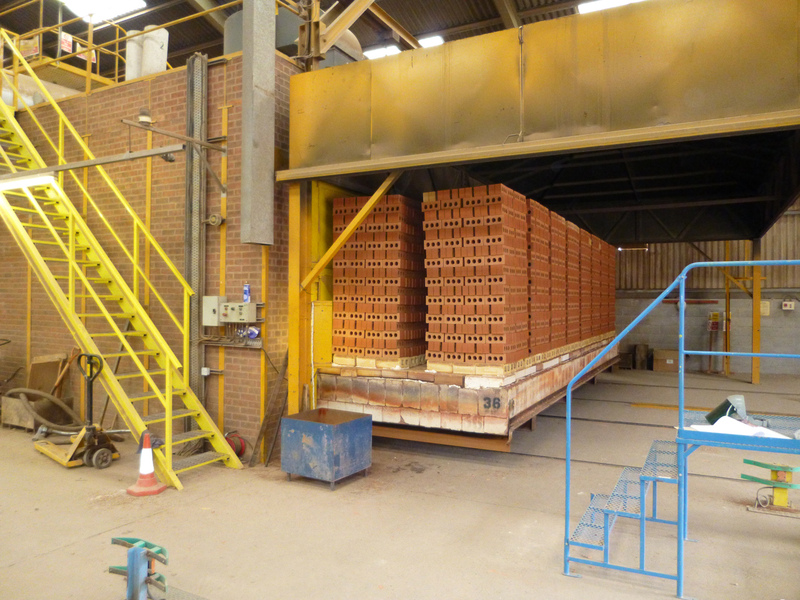 The Kiln holds 23 cars each consisting of approximately 26,000 bricks. 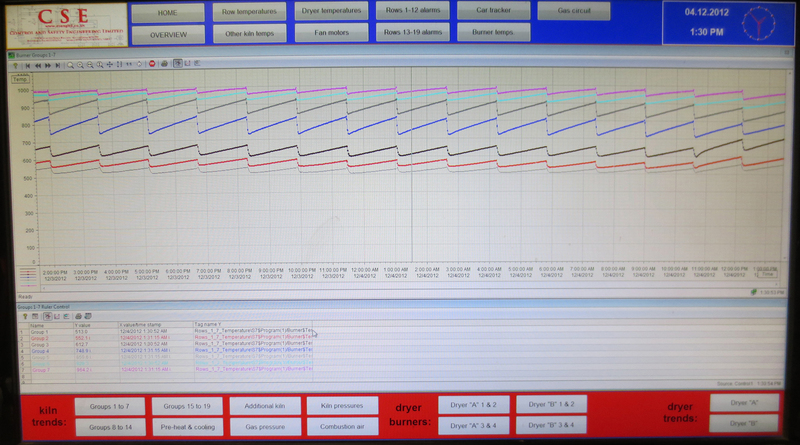 Before the new system was implemented the kiln operators had to track the cars manually with pen and paper. The new system shows PC control of temperatures and a new automated car tracker. 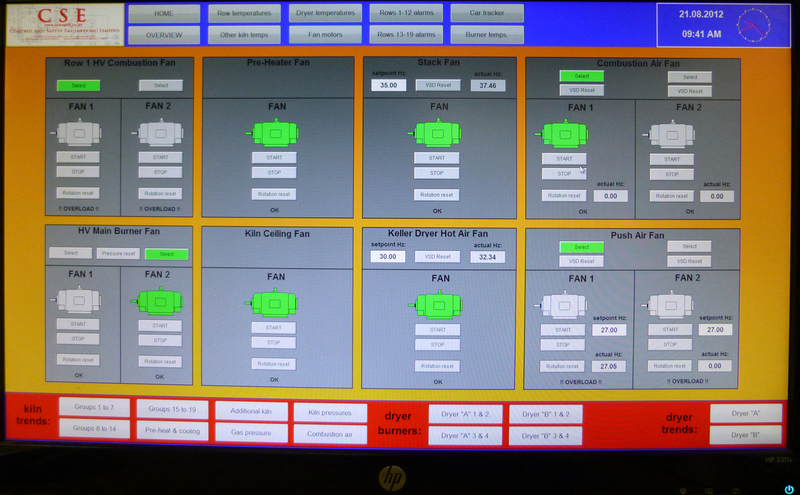 All of the firing temperatures are now controlled from PLC, including the alarms. 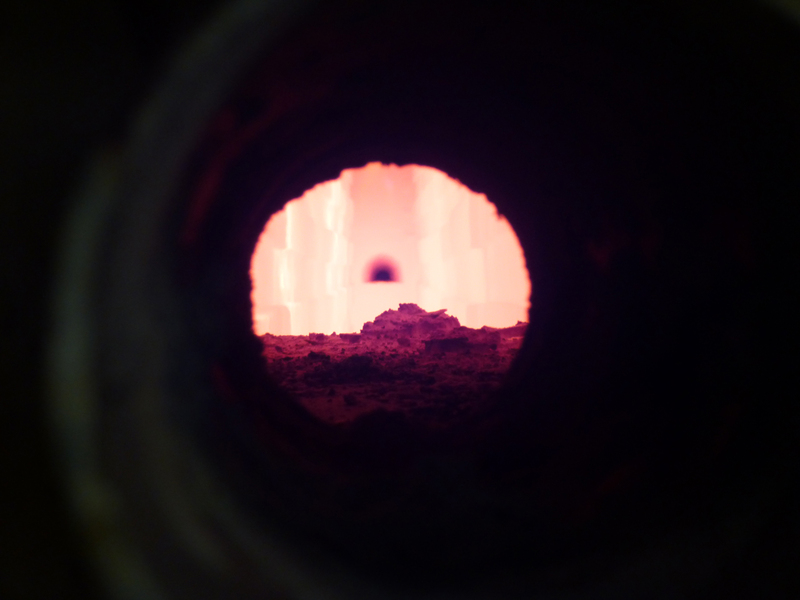 Tempertatures within the kiln reach 1,040 degrees C. They are sensed by “N-type” thermocouples. Historical trending of temperatures and pressures are now recorded in the system database. 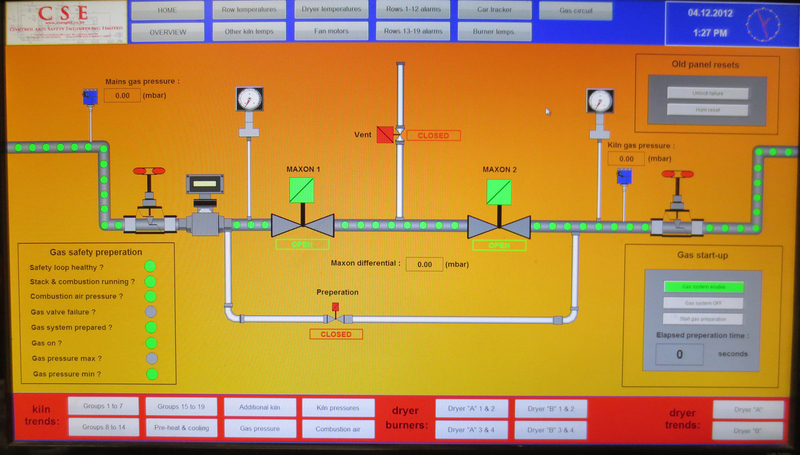 The main gas supply circuit was originally controlled manually and is now controlled by computer as shown in the picture below. Due to how critical the system is, it was thought too risky to rely solely on one PC. The decision was therefore to include a backup HMI. 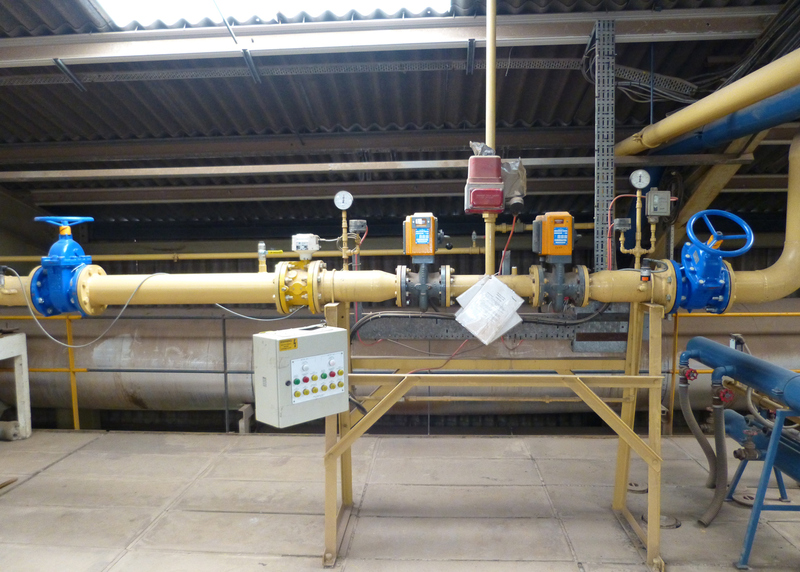 This HMI allows the kiln to still run fully in the event that the SCADA system should fail. 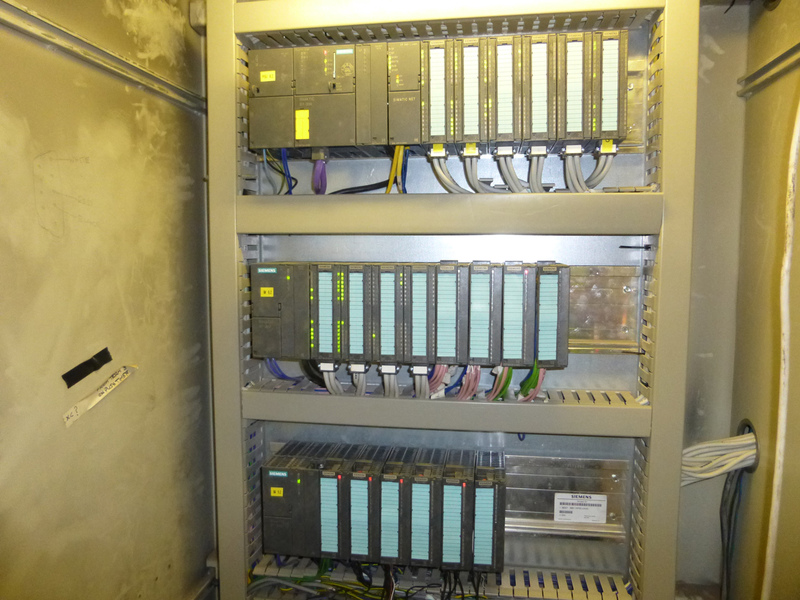 In addition, a Profibus DP node with remote analogue I/O was installed to control the dryer burners. 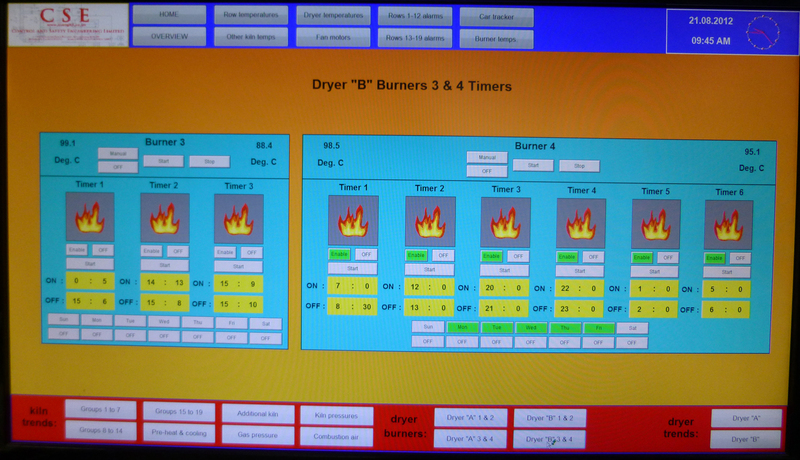 An automated system was developed to give a “time clock” facility for when the burners should operate.